We here at 4seating are pleased to announce that the Seatcraft Genesis sectional is now available in more configurations than ever! This outstanding home theater sectional was already one of the most comfortable and versatile in our product lineup, with a top grain leather construction that offers a richly textured feel and appearance that will caress your frame as you sink into its plush folds. This material comes in a sleek black or earthy brown color, each one designed to match a wide range of home theater decor options. A distinct three-tiered backrest creates a gliding waterfall effect that will ensure your back is fully supported, with a generously padded headrest for added comfort. 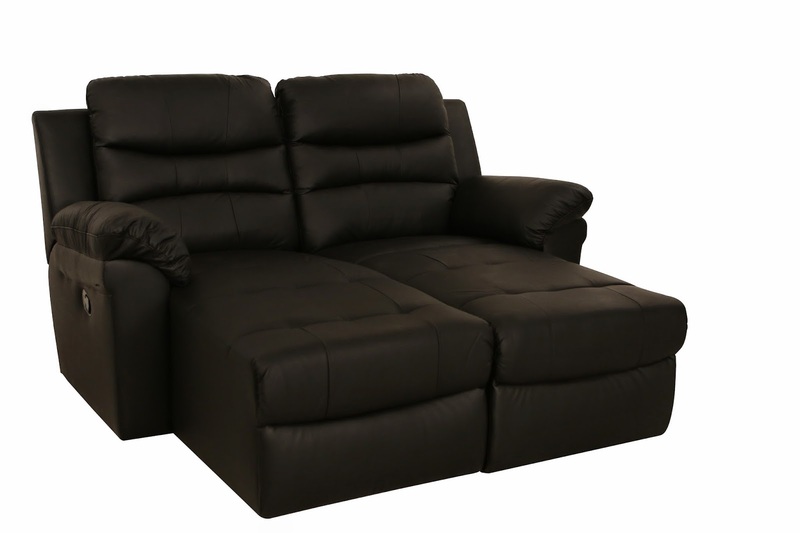 In addition, thick padded armrests provide a soft cushion of support for the arms. As you recline, a full chaiselounger stretches out to eliminate the traditional gap between the seat and footrest, for a further buttress of pampered support to the entire lower body. The key to the Genesis's wide-ranging adaptability lies in the storage wedges and command consoles that can be chosen and alternated with the seats to create a wide array of configurations. The storage wedges come in a straight design, which feature two cup holders for the secure placement of drinks within easy arm's reach. Simply lift the console up to reveal a generous hidden storage compartment for the placement of snacks, remotes, reading materials, tablets, or any other items needed to complete a stellar evening at the movies. Command consoles come in a wider triangular shape that can create curved and L-shape configurations, also with added cup holders; their large surface area contains even greater storage capabilities. A matching storage ottoman in black or brown makes a handsome accent to the set which offers additional compartment space. 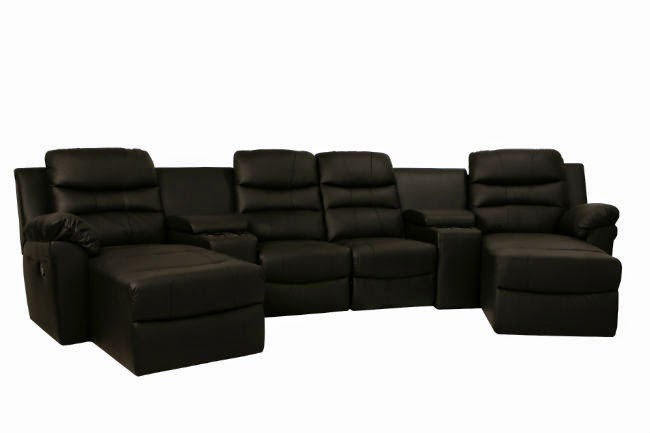 The Genesis home theater sectional is now available in a series of outstanding L-shaped configurations that comprise anywhere between five to seven seats. The seats feature a combination of storage and command consoles in different placements to help bend the sectional into its pleasing L-shape, with various loveseat placements and even an extended chaise at the end of certain configurations. S-configurations are fashioned from straight consoles and create straight rows, including loveseats, sofas, and various options with end chaise and dual chaise setups. The extended chaise allows you to lay back in luxury, as if in bed, for the ultimate in lounge relaxation. Meanwhile, C-configurations are elegantly curved in a similar wide array of options that feature different placements for storage console, loveseat, and extended/dual chaise. You can view the details of each configuration on our Genesis page, including dimension measurements and pricing details to find out which one is right for you. Finally, these seats were designed with a special wall-hugger seating that allows them to fully recline while being placed just inches from any wall. 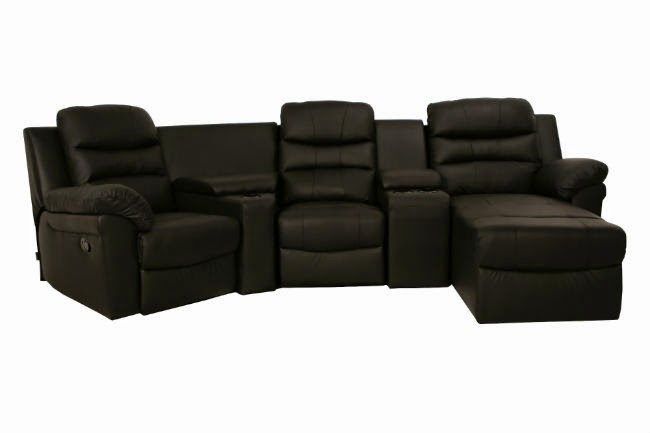 With the Genesis, you are bound to find the setup that's perfect for your home theater, be it a simple loveseat or an elaborate seven-seat L-shape with dual loveseats and extended chaise. It's one of the most wide-ranging and adaptable seats in the Seatcraft line and will impress everyone with its top-grain leather construction and extensive storage capabilities, no matter which configuration you choose.